With these words from 1840 the American missionary Lowell captures in one sentence the characteristic features of the nature and landscape of Newfoundland: its northern character, harsh outlines, and two of its three essential elements: rock and water. 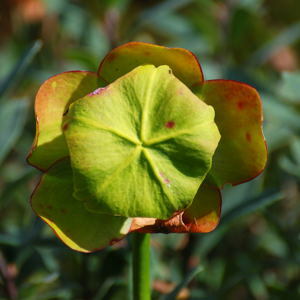 The third element is the vegetation of woods, but on the Avalon Peninsula, where Lowell lived, this primarily consisted of low-lying conifers and scrub. Most likely Lowell knew little or nothing of the forested interior or the Northern Peninsula, as at the time Lowell lived there were hardly any roads, and nearly all transportation happened by boat. Newfoundland can be divided into three regions: the Newfoundland Highlands, the Atlantic Upland, and the Central Lowland. 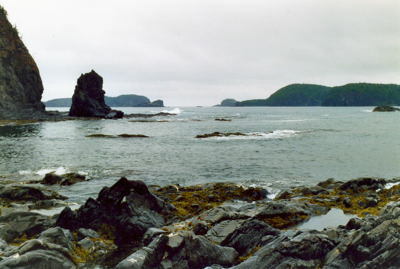 The Newfoundland Highlands make up most of the western part of the island. This region is the edge of the plateau, which rises abruptly on the western shore and slopes gently to the east. Elevations in this area reach a height of 814 m (2,671 ft) in the Lewis Hills in the southwest. This region is also sometimes called the Long Range Mountains. The Atlantic Upland forms most of the south and east of the island. This region is mostly a flat or rolling plateau with an average elevation of about 300 m (about 1,000 ft). 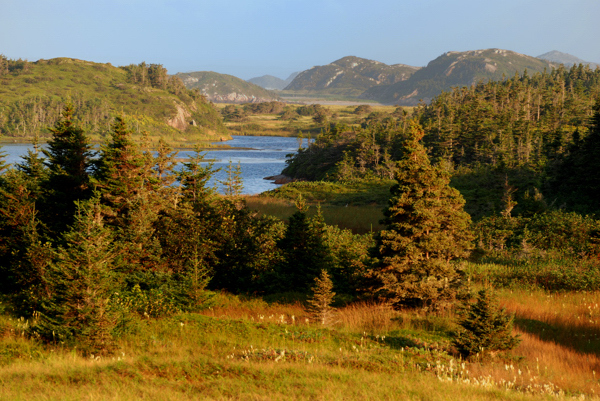 There are some rugged hilly sections in the southeast on the Avalon Peninsula. 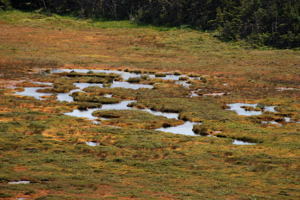 Bogs, ponds, and small lakes are numerous in this region. The Central Lowland occupies the north central part of the island. Most of this region is flat or gently rolling, with almost all elevations less than 150 m (500 ft). The almost 10,000 kilometres of coastline are extremely spectacular. It consists of jagged rock walls that raise many dozens of metres out of the North Atlantic. 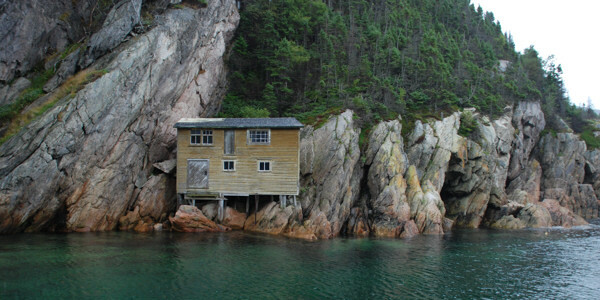 It is not for nothing that Newfoundland is also known as “The Rock”. Along this irregular and deeply indented coastline are hundreds of bays and sheltered coves with beautiful small villages nestled in it. Newfoundland has many rivers and lakes. The Exploits River is the island’s longest waterway. It begins in southwestern Newfoundland and flows for 246 km (150 mi) to empty into the Bay of Exploits in the north. 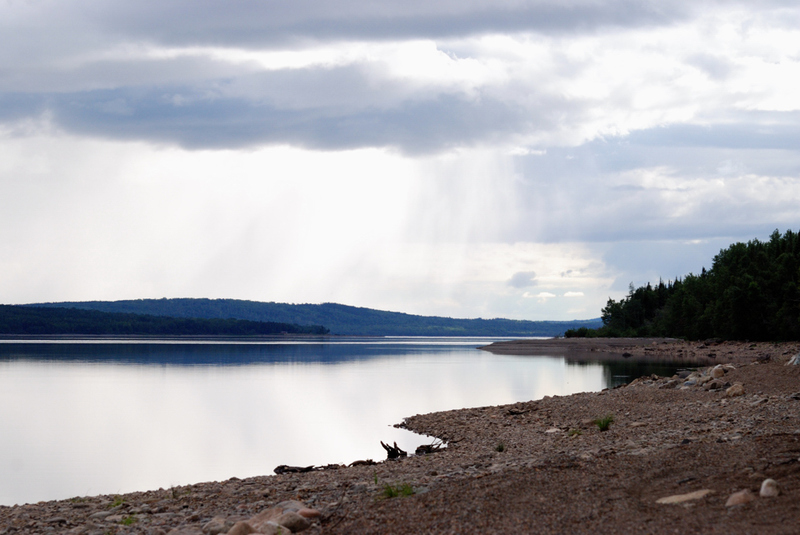 The second-longest river on the island is the Gander River, which flows in a northeasterly direction. Grand Lake, Red Indian Lake, and Gander Lake are the largest lakes on the island of Newfoundland. About one-third of Newfoundland is forested, and most of the rest of the island is made up of barren areas of reindeer moss and lichens. The forests consist almost entirely of conifers. 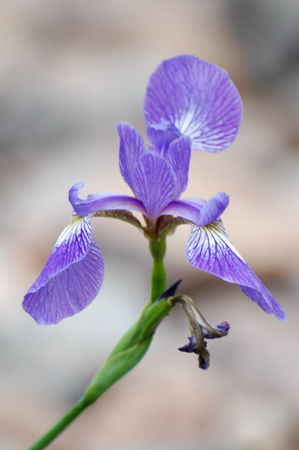 The most important species are white and black spruce, balsam fir, birch, red pine, and aspen. Newfoundland has a large variety of plants. 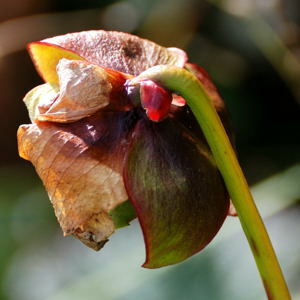 Provincial flower is the Pitcher Plant, an insectivorous plant which can be found in many of Newfoundland's bogs and marshes. Late summer is the time for berry picking. Blueberries, partridge berries, and bakeapples (also known as cloudberries) thrive in the barren regions of Newfoundland. The Red Indian Lake is one of the largest lakes in Newfoundland.